Having a new lead join one of your favourite shows can be both exciting and a bit scary. I always try and approach change with an open mind. 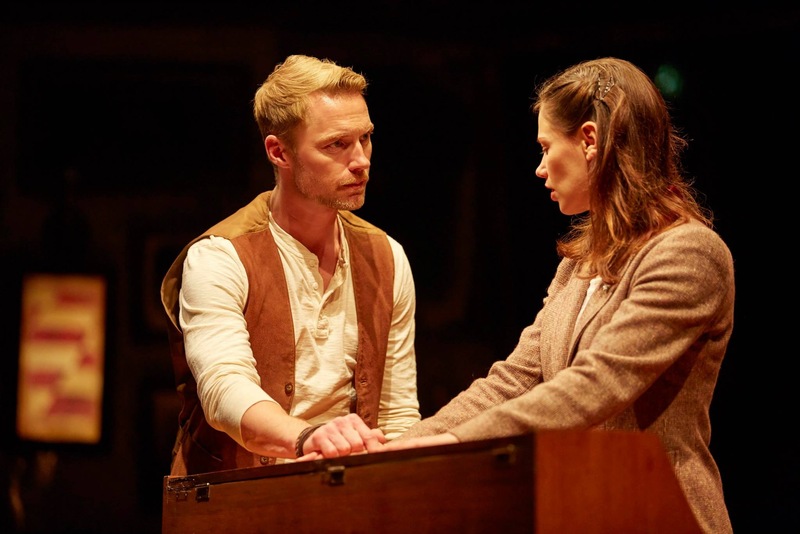 But I admit the news of Ronan Keating joining the West End cast of Once the musical had me worried. Somehow it seemed wrong to have a “name” in this show – a former boyband member with no experience in theatre. So yes, when I sat down to watch the show I was expecting the worst. 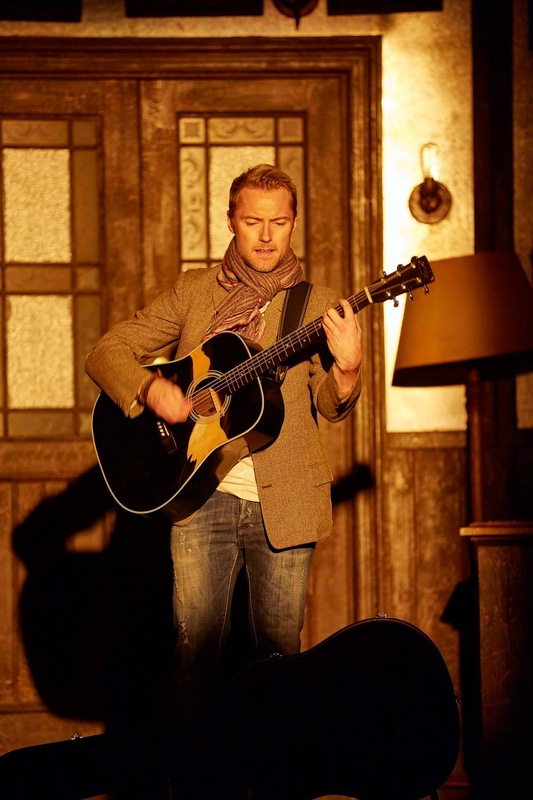 However, before I go into detail I am going to say overall I ended up being pleasantly surprised by Ronan Keating’s Guy. I enjoy the boyish charm he brings to the role. His Guy is sweet and undeniably cute – maybe almost too cute but that’s down to everyone’s personal preference. Ronan’s voice has a lovely tone – one I’ve always enjoyed – but personally I don’t think he has the vocal range to do all of the songs justice. Don’t get me wrong, I like hearing him sing and I appreciate he adapts the songs slightly to fit his voice. But “When your mind’s made up” has lost a bit of its magic with Guy singing very low-key and being almost drowned out by Billy (Tim Prottey-Jones) and the Bank Manager (Jamie Cameron). Ronan’s low-key version of “Falling Slowly” works to a certain extend but personally I miss the powerful higher notes. On the other hand I really enjoy his take on “Sleeping” and apart from the slightly cut notes at the end his “Leave” is nice to listen to. And now and then he will suddenly go for a wonderful and long note (“Falling Slowly” and “Falling Slowly reprise”) that makes the hairs on the back of your neck stand up because it’s so intense and beautiful. As you can see his singing is a bit of a hit and miss in my opinion – there are some great and some not so great bits. The acting on the other hand is really interesting to watch and unlike any other Guy I’ve seen. Ronan’s Guy is a bit like a scared puppy – the character seems to have no self-confidence at all. This would never have worked for Declan Bennett’s or Arthur Darvill’s Guy but Ronan manages to pull it off. It’s a different take on the role and not one everyone will enjoy. But I like to see the shy Irish busker being bossed around by the little Czech Girl (played by the wonderful Jill Winternitz). The one thing I enjoy immensely is Ronan’s natural Irish accent. It really gives the character that little extra something. I think Ronan generally has a wonderful talking voice – it’s very smooth and warm. A few off-putting bits thanks to very keen Ronan Keating fans in the audience: Some loud cheers when Guy first appears on stage at the end of the pre-show and whooping when Guy takes off his trousers in the middle of act one – personally I don’t think either fits into the subtle show that Once is. But obviously that’s not something I’ll blame Ronan for. Ronan Keating will never be my favourite Guy and I’m not the biggest fan of his take on some of the songs. But I can assure everyone that he is not “wrecking” the show and he is not making it the “Ronan Keating One Man Show” either. It’s obvious how much he enjoys being in Once and I have to give him credit for taking on such a demanding role and pulling it off rather well after just a week in the show. I think he still needs some time to settle into the role and once he does he will be a great addition to this show. Actually, to a certain extend he already is and I look forward to seeing him develop in the role in the months to come. 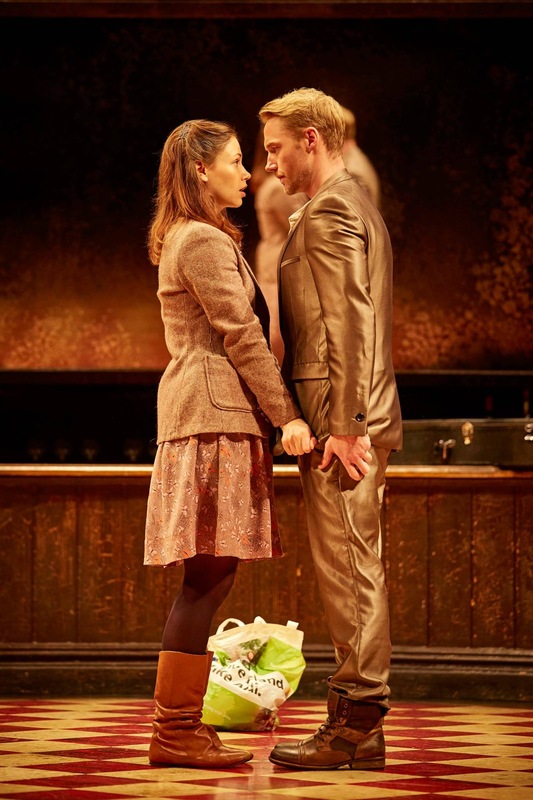 For more info on the show go to: http://www.oncemusical.co.uk/. Good to hear you being positive about him, I wasn’t sure I’d go back and see the show again but I’m being made to think very hard about it. A shame about some of the cut notes but I can imagine his tone being perfectly suited to a lot of the songs. West End run, that should say!